Bring nature's artistry to your tabletop with the Clearwater Pines dinnerware. This ceramic dinnerware features a pine tree design in warm natural tones. Bring nature's artistry to your tabletop with the Clearwater Pines dinnerware. 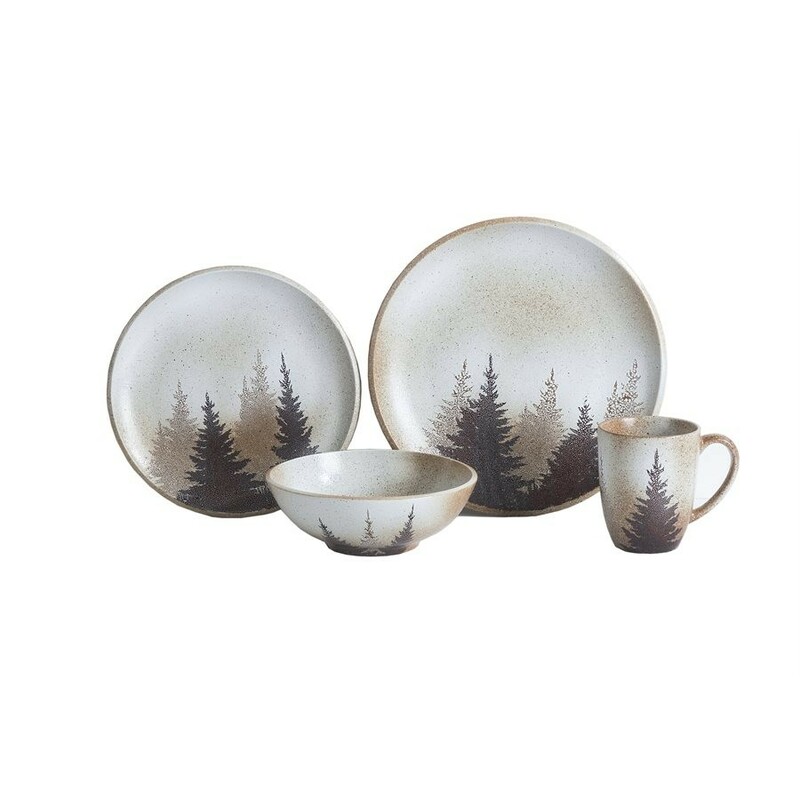 This ceramic dinnerware features a pine tree design in warm natural tones. Each 16-piece set includes (4) 10.75" dinner plates, (4) 8.5" salad plates, (4) 5.75" bowls and (4) 16oz. mugs.